Uniquely isolée. Très peu d'autres propriétés dans les montagnes Rocheuses offrent une combinaison de vues fantastiques et l'intimité totale offerte par 10 acres d'arbres. Ce est une expérience différente de rester dans une ville ou sur la colline de ski. We enjoyed our stay so much. The hot tub was a huge hit, the view was UNBELIEVABLE, and it had enough room for all of us. We would definitely stay again! The home was beautiful. Loved the rustic feel and had time to unwind in the hot tub after a day of hiking and sight seeing. Thank you for sharing your home with my family. We enjoyed this home. It's quaint and a bit creaky like you might expect of a cabin, and has limited TV (only in the master) for a smoky or rainy day but a nice view and the property's got some fun things for the kids. Overall it's pretty easy to use, the manual is clear enough. This home was the perfect homebase for our getaway to Golden! Clean, well furnished, and an abundance of activities in the yard to do. Thank you again for sharing your holiday home! Overall, we enjoyed our stay. As other guests have commented the views towards the mountains were lovely. The photos on the website are rather dated, the garden is overgrown compared to the photos and we found the mosquitoes a nuisance - probably not helped by the undergrowth. The house itself is a bit tired. It’s a wooden construction with no insulation between the rooms and the floors. We were disappointed by the cleanliness of this house, particularly the kitchen; the stove was dirty on the top and inside, the cupboard and draw shelves were dirty and we had to wash the oven trays and pans before we used them. The bin under the sink hadn’t been emptied and there was rubbish lying around it in the bottom of the cupboard. There was no internet for the first 36 hours, but in fairness to Robin, he did take immediate action on this. While we appreciate finding some staples in the fridge and cupboard, some of these were out of date. 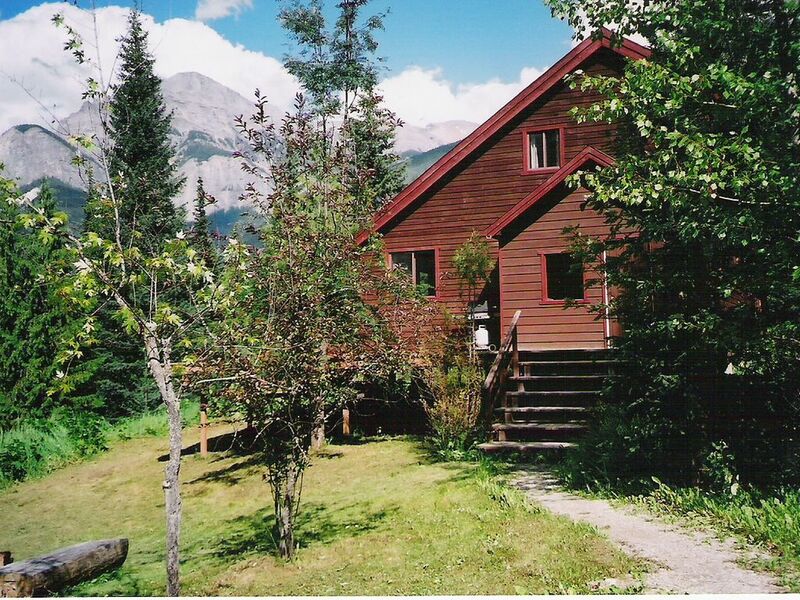 Fantastic family friendly cabin, great views! The Cabin is secluded, well fitted and welcoming. The views from the hot tub and deck are stunning, we would have happily stayed for longer. The default quoting currency is US$. CDN$ is an option. Credit card, email money transfer or Bitcoin accepted.